FREE WORLDWIDE SHIPPING ON ALL ORDERS OVER £20! What Size Feet Do I Have? How should my new boots feel? Over collapsing of the inner (medial) arch where the arch reduces and the whole foot rolls inwards, otherwise know as over pronation. Although pronation is perfectly natural it can cause pain in stiff boots. SKI BOOTS: A custom footbed is a must and maybe a local area stretch. See your local boot technician about the latter. SHL™ will also help. 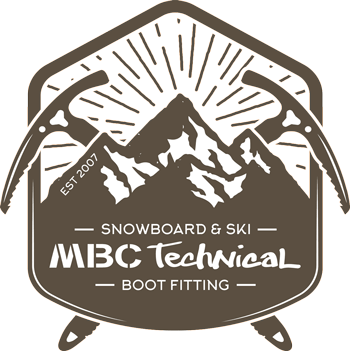 SNOWBOARD BOOTS: A good footbed is a must, such as a ‘Superfeet’ or a custom made ‘Conform’able’. Be careful not to overtighten the liner and then the outer. Lacing systems are so good now that this is all to easily done. Do not overtighten that binding ankle strap too as this can agravate you inner ankle bone too. SHL™ could also help here if you are infact getting some heel lift which is causing you to overtighten the boots.